According to reports, the impending divorce between Oklahoma oil billionaire Harold Hamm and his second wife, Sue Ann, may result in the largest divorce settlement awarded in the United States to date. Last year, Sue Ann purportedly sought to end her 25-year marriage to the majority stock holder of oil company Continental Resources amid allegations of infidelity. Because all documents are sealed in the case, it is unclear whether the Hamms entered into a prenuptial agreement prior to their 1988 wedding. In Oklahoma, divorce statutes require a court to provide an equitable distribution of a former married couple's assets. The length of the Hamm's marriage, their two children, and Sue Ann's previous marketing and executive role in the oil company will likely play a factor in any divorce settlement. If she gets half of Harold's 68 percent stake in the oil company, Sue Ann could receive a settlement valued at more than $5 billion and Harold could lose control of the company he apparently founded in 1967. Interestingly, each member of the former couple has allegedly filed for divorce in the past. Harold reportedly filed for divorce in 1998 and Sue Ann later filed in 2005. Eventually, both petitions were dropped. Although Florida laws differ from those that apply in this case, few people across the country enter into a marriage expecting to become divorced. Still, most Florida residents would benefit from entering into a prenuptial contract prior to marrying. Such a contract is an agreement between a future bride and groom that describes exactly how a couple's assets will be divided if the marriage ends. By having a prenuptial contract in place, a married couple may be able to reduce the amount of time, expense, and stress that can be associated with the divorce process. If a Florida couple does not enter into a prenuptial contract, a post-marital agreement may be used to simplify the divorce process. A postnuptial agreement divides a former couple's assets and outlines any required spousal support obligations. When minor children are involved, however, any agreement regarding child custody and support is always subject to modification by a Florida family court. 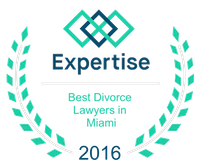 If you have questions regarding the divorce process in Florida, you should contact a skilled Florida family law attorney. 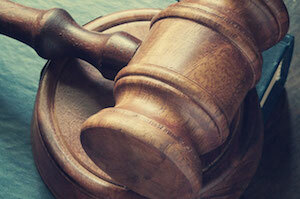 The caring lawyers at the Law Firm of Vilar Law, P.A. focus their practice exclusively on family law matters. At the Law Firm of Vilar Law, P.A., our hardworking attorneys are available to assist you with all of your family law needs including complex divorces, spousal support agreements, child custody and support, legal separation agreements, equitable distribution, post-judgment enforcement and modification, prenuptial contracts, and more. The Law Firm of Vilar Law, P.A. represents clients who are located throughout Miami. To discuss your divorce or other family law issue with a quality advocate, please give attorney Patrick Vilar a call at (305) 373-8000 or contact them through the law firm's website.